Brother Jesse Blog: One-on-one with 14-year-old entrepreneur Ayinde Muhammad: "We believe our brand is unique." One-on-one with 14-year-old entrepreneur Ayinde Muhammad: "We believe our brand is unique." 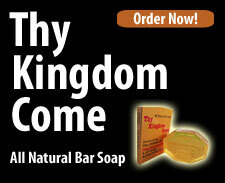 Brother Jesse (BJ): Who are the owners of Thy Kingdom Come soap and how old are you all? Ayinde Muhammad (AM): The owners of Thy Kingdom Come Soap are Jabbar Muhammad, 15, Aziz Muhammad, 16, Saddiq Muhammad, 12, and myself. I am 14. BJ: What makes TKC soap unique in comparison of other brands people could buy? AM: We believe our brand is unique in the fact that not only is our board on down composed of children, but we aren't selling a high fructose-laden lemonade! We have a product that is not only competitive, but even trumps other brands in our market! BJ: While most of your peers tend to focus on just going to school and having fun, why are you all focusing on being entrepreneurs? AM: Interesting question. We WANT to have fun, but this is the greatest way to do it, because anything we want is easily within our reach. If we want to go to a restaurant, or the movies, or get the new Beats, we have a steady source of income that is not only simple for us and secure, it pays tribute to the Most Honorable Elijah Muhammad's desire to have Black companies providing a valuable need for our communities. BJ: What are you alls future plans for the company? How do you plan to grow and expand within your target market? AM: Our immediate plan is to get retailers in major cities. We currently have contacts in Florida, Missouri, Louisiana, and England. We currently have retailers set up throughout the greater Houston area. BJ: Where is the soap being sold and how can one make a purchase?